IMPORTANT: IF YOU HAVE ALREADY PLACED AN ORDER ITS ON ITS WAY. PLEASE BE REMINDED OF DELIVERY TIME. Customize your vehicle's interior to look unlike any others on the road! Maintain proper posture with these high quality custom headrests made of breathable vegan leather. The material and craftsmanship is perfection of the highest quality. 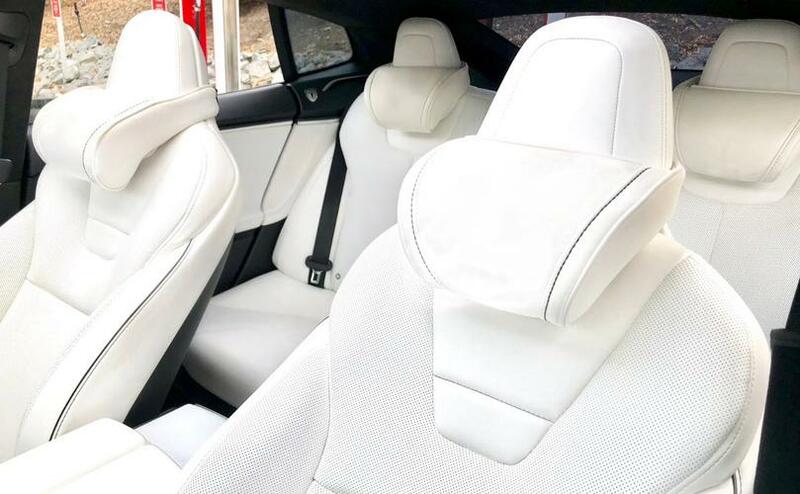 These pillows are designed to make driving more comfortable and safer by supporting your neck and relaxing your back muscles during frequent driving. Ideal for long road trips to prevent neck and back pain fatigue. Designed to give just the right support, our pillows are engineered to resist deformation with (adjustable) foam inserts that can be easily removed for hand washing and an elastic strap for easy installation.